Having only recently become a mother myself I know far to well how free time becomes extra precious when you have children! So should mums be allowed to bring their children to class? After all, it can be hard to get the time to do anything, and even with a babysitter, it just may not be practical on the day of the class. I started teaching again when my baby boy was 6 weeks old. I did bring him to the first class so everyone could have a cuddle and say hello, and then my husband took him home, as there’s no way I would have been able to concentrate otherwise. However, when I attended my most recent theatre rehearsals, there was on several occasions a dancers who brought their baby along and just danced with them in a sling. The interruptions were kept to a minimum and everyone carried on with the rehearsals as true professionals (even though every now and again someone had to hold the baby, or he had to be feed), But this worked quite well. I’m even hoping to do the same with my boy when the rehearsal for the new Johara show starts, as I won’t be able to have my husband babysit every time. So if the baby doesn’t disrupt class and the mother can join in as normal, then I think it’s fine for babies to attend class. And the same applies to bigger children too, who can sit still and entertain themselves. I had one in my workshop today, who was a perfect example. The girl sat quietly at the back with her book and seemed to enjoy watching parts of the class, but then returned to her reading. However, I have on several occasions had children who couldn’t sit still, and then it becomes a problem – not only for the mother who then can’t concentrate, but also for the rest of the class – and then it’s definitely not okay. Students attend class for various reasons, but they have all paid money to be there and expect to be taught, so a child running around, or the mother desperately running around after them, makes this impossible for all parties. So what about workshops? I would say the same rule applies – so if you know your student and their child, then you can take the judgement from there. But workshop topics vary, and they also tend to last longer than classes, so there may be instances where it isn’t suitable for children to attend. For example an upbeat and fun workshop may just be too much for little children to sit still during! An isis wing workshop could mean serious injuries if the child can’t resist getting up, and if it’s a workshop if burlesque-like undertones then I would hope that the mother would think twice anyway before bringing their child! Also, workshops being a one off, it would hopefully be easier for mothers to arrange child care, although I know far to well that babysitters can cancel on you very last minute… Other students may have travelled from quite far away to be there, which also means they want to be able to engross themselves in the workshop without interruption. And finally, as a mother I can now certainly say, that those hours spent without having to think about your child, works wonders on your brain! Being able to just lose yourself in dance, is like a moving mediation. Yes you’re working hard, but being able to focus on the elements of the dance that you’re working on, gives the other parts of your brain a rest, which wouldn’t be possible if you had your child there. But children love dancing and moving I hear you say – yes, and that’s why it’s lovely to have them there if the conditions are right. 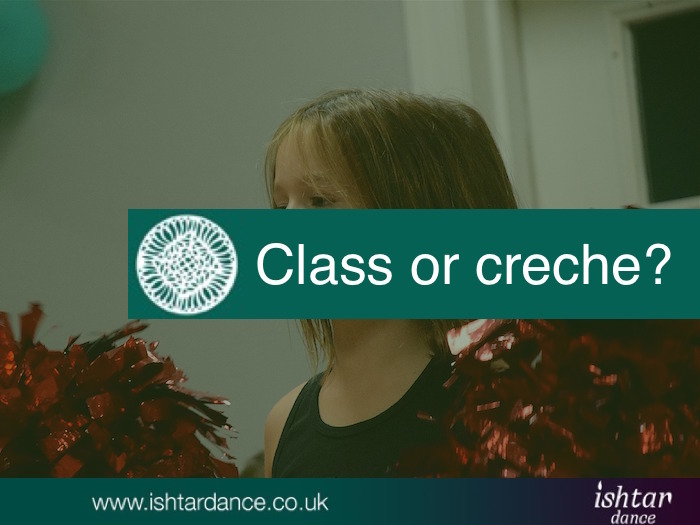 Do ask your dance teacher or local group if you are considering bringing your child along. I allowed my class to take a vote once, because the student was so able to ask beforehand. It has to work for all parties and if it doesn’t then it’s ok for a dance teacher to say no. Did you miss my last post? 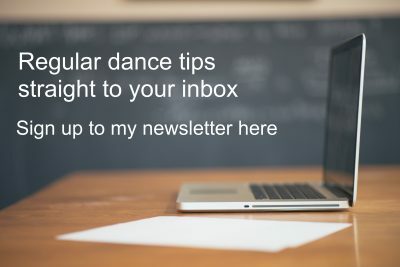 Read it here: Is your dance teacher qualified?